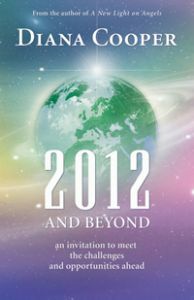 Diana Cooper’s inspirational book reminds us that 2012 offers the greatest opportunity for spiritual growth that there has ever been. She takes us through the ancient prophecies for 2012, what is expected to happen in that year and the incredible changes the world will see in the twenty years beyond. She offers forecasts for 2032, the time when new Golden Cities will arise and everyone will live in the fifth dimension. Diana concludes with practical information to help you prepare for your role in the incredible transformational shift the world is about to experience. She offers forecasts for 2032, the time when new Golden Cities will arise and everyone will live in the fifth dimension.